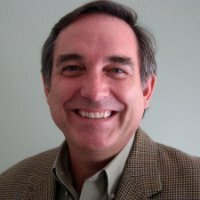 Doug Fiedler provides consulting support to clients from his base in the USA in all areas of food and beverage strategy and management. His skills and capabilities include culinary, restaurant, conference services, banqueting, catering, group sales, and all aspects of food and beverage service. Clients include The Ritz-Carlton Hotel Company, HEI Hotels and Resorts, Great Wolf Resorts, Marriott International, Norwegian Cruise Lines, Jackson Dawson Communications and Mercedes-Benz, among others. Doug’s focus is on measuring the guest experience because without measurement, nothing gets accomplished. Starting with key performance indicators (KPIs) for guest satisfaction, Doug drives the customized strategy development process for food and beverage. Once the strategy is designed, Doug’s in-depth knowledge of food and beverage operations helps bring the strategy to life with realistic management tools that break even the most complex implementation into easy-to-follow steps. His approach to consulting assignments typically includes some or all of the following areas of expertise. Before forming his own consulting company, Doug held executive level positions at Marriott International and Avendra, the largest procurement services firm in North America. At Avendra, he used his client-facing selling and service skills as Vice President, Account Management, responsible for managing the relationships with Avendra’s top clients representing over US$1 billion in annual purchases. Before that position, he was Vice President of Marketing for the then-newly started company. Doug’s experience at Marriott International included more than 13 years’ executive leadership at head office where he led catering, banquets and audio-visual for all brands, worldwide. He designed, developed, and delivered much of Marriott’s training materials for catering, banquets, audiovisual and culinary arts. Over his tenure, he conducted hundreds of training classes and trained thousands of Marriott managers. He also participated as a key leader on more than 40 new hotel openings all over the world. His international experience includes the Europe, Far East, Middle East, and Central America. Prior to his assignment at head office, Doug held numerous director and management positions at several Marriott properties.